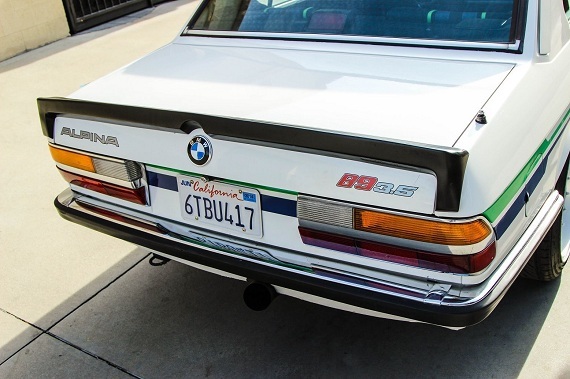 With its shark nosed, classically cool styling the E28 is a firm favorite among fans of 80sÂ BMWs, but it’s the M5 and 535iS variants that get most of the attention. It’s not hard to see why. 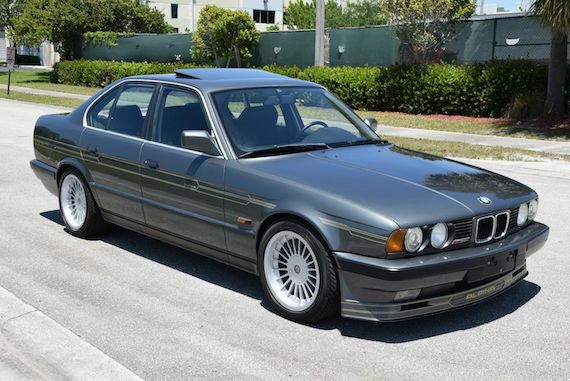 The M5 based on this platformÂ was one of the first super sedans, laying down the classic formula for all modern Q-ships: supremeÂ performance packaged in a stealthy, unassuming exterior. Meanwhile the 535iS appealed to those who wanted a bit of flash but couldn’t quite afford the full cream M-car, and was really just a 535i with firmer suspension, bodykit and sport seats. ThatÂ isn’t a bad thing. The underlying car, introduced as a range-topper in 1984, was a winner, marrying the bulletproof M30 3.4 liter straight six engine (good forÂ about 182 hp, in US emissions restricted form) with a tractable and responsive chassis. A regular 535i with a manual gearbox therefore offers aÂ fun and relatively affordable alternative to the more expensive E28s out there. 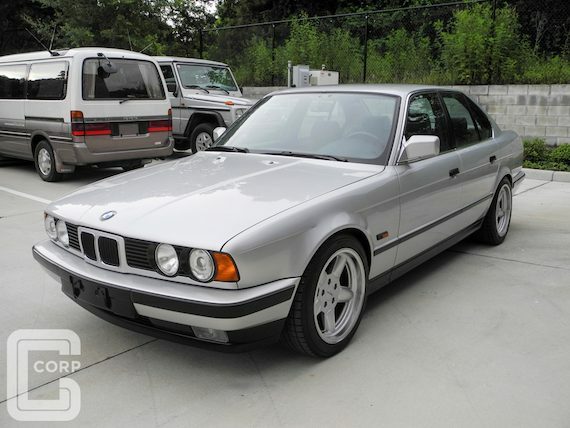 AÂ 535i with a manual transmission isÂ probablyÂ the third most desirable version of the E34 5-series, after the M5 and the 540i/540i M-Sport. 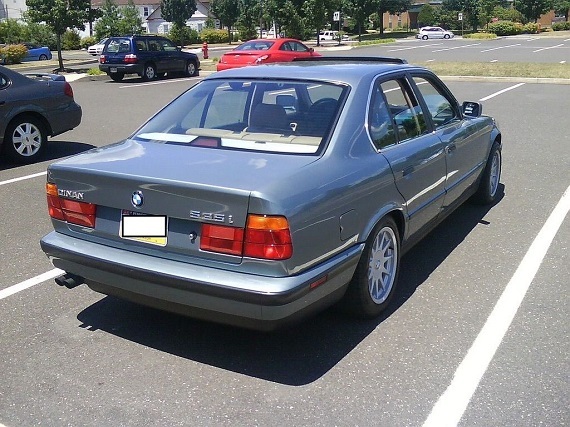 These cars came with the 3.5 liter “big six” M30 engine (technicallyÂ aÂ 3.4 liter mill) andÂ represented theÂ top of the non-M lineupÂ until they wereÂ replaced in 1993 by the V8-powered 540i. While manualÂ 540s are a hoot if you can find them, they are not without their faults (somewhat thirsty, and susceptible to the nikasil issue,Â in which the sulphur content of 90s era gasoline had the tendency to eat away at the nikasil lining of the block, requiring a replacement engine). The six-cylinder manual 535 on the other hand, which isÂ perhaps even harder to find than a manual transmissionÂ 540, isÂ torquey, smooth, reliable and fun to drive while returning decent fuel economy. 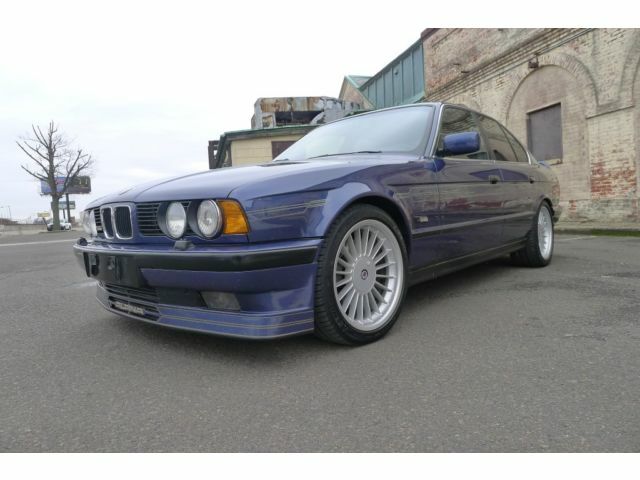 This beautiful E34 Alpina B10 is of the tamer 3.5/1 variety, not the Biturbo monster that Carter posted a few months back, but it still had a healthy 46hp more than the standard 535i. 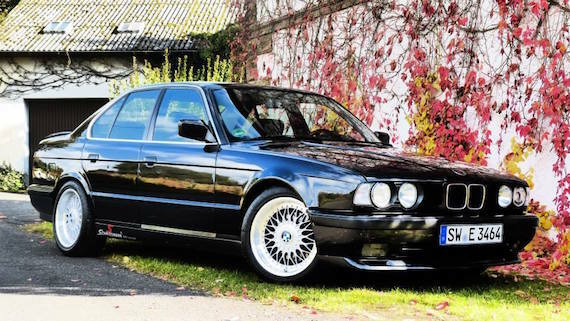 Beyond the breathed-on engine, it comes with about as much style as an E34 can handle, rocking Alpina 20-spokes, pinstriping, seats, and freight-train front spoiler all installed in Beuchloe, Germany. This was just the 9th example made out of a run that reached 572. Personally, I appreciate the omission of the rear spoiler, helping it looks just about perfect inside and out. All factory Alpina cars command a hefty premium over stock examples, but this will get you pretty much all of the Biturbo’s show, just with a bit less go. 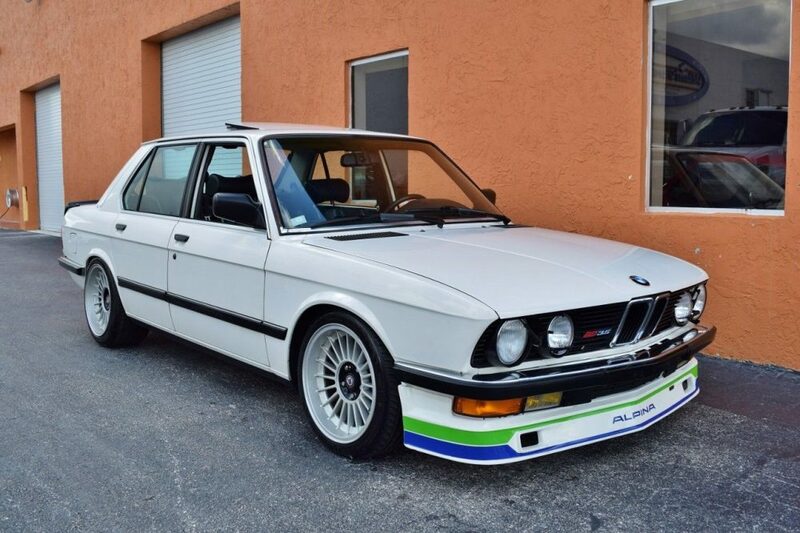 Yet again, the “Manofied Racing” Alpina tribute – a well thought-out and thorough interpretation – is back on eBay. It popped up twice a couple of years ago, a few months apart, but obviously had no bites at $32,500. Two years on it has received a respray but lost its Alpina stripes on everything but the front and rear flight decks. 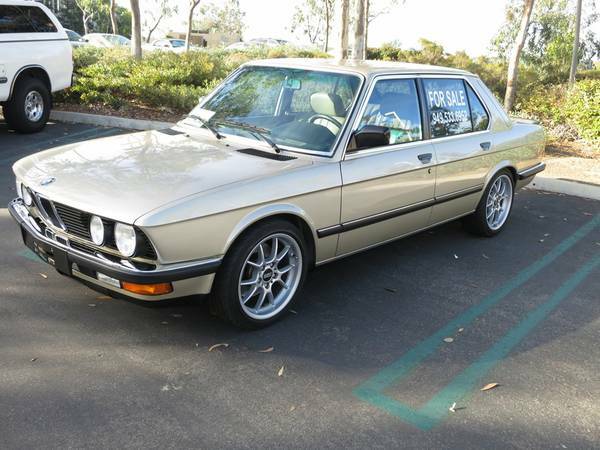 Despite the impressive boom in the ’80s BMW market, this one apparently didn’t get to set whatever price the seller deemed more than generous. It’s down to $25k now, but I’m guessing a low-$20ks offer might get a serious discussion started. As Santa streaked across the sky last night, so too this 535i sailed from Germany to America, ready to bestow a lovely present upon some good boy or girl. 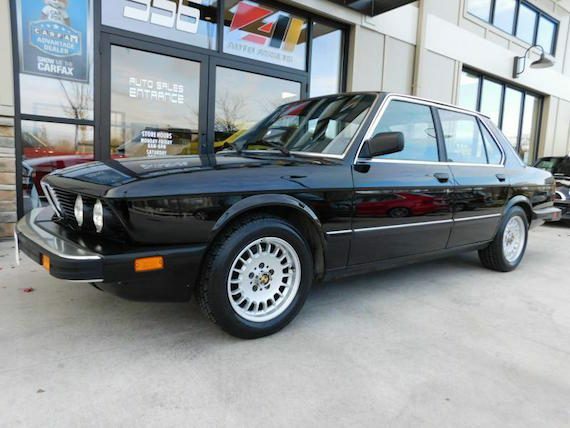 It’s a nice early example of the E34 with the 3.4 liter M30B35, updated from the E28 generation with newer fuel injection an a higher compression ratio to yield 208hp, a 26hp improvement over the B34. This example appears to have been a continuing project for its owners and now sports additions on the exterior, interior, and engine bay to make it more than your average E34. An M5’s steering wheel and leather seats look great and are complimented by Schmidmann bit and short shifter, while the same company provided a subtly aggressive bodykit and racing headers. Classic 3-piece, 17″ BBS Style 5s bring the Motorsports feel as well. 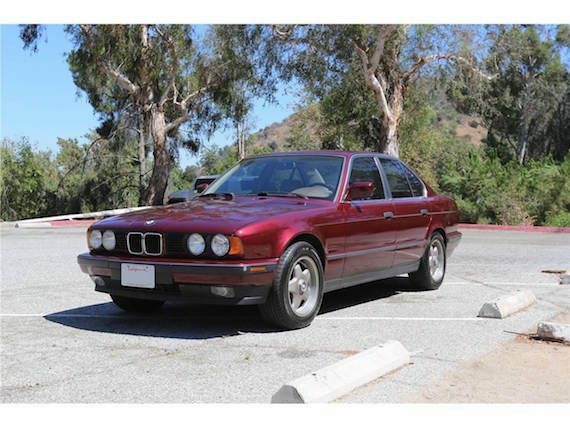 It’s no M5 or M540i, but it is a nicely-styled and unique European E34.